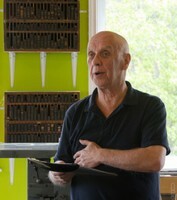 Tom Dawe has been a high school teacher, English professor, visual artist, editor, writer, and poet. He has published numerous volumes, including poetry, folklore, and children’s literature. His latest works include Where Genesis Begins, winner of The Canadian Authors’ Association Poetry Award; Moocher in the Lun, winner of the Bruneau Award for Children’s Literature; and The Wonderful Dogfish Racket. His work has appeared in many magazines, journals, and anthologies. In the seventies, during the ‘Newfoundland Renaissance,’ he was one of the founders of Breakwater Books, a founding editor of TickleAce, and prose editor of The Livyere, a folklore journal. In 2002 Martina Seifert’s comprehensive study, Rewriting Newfoundland Mythology: The Works of Tom Dawe , was published in Germany and Cambridge, Mass., USA. Recipient of many awards and honours, in 2007 he was awarded a WANL Lifetime Membership Award and was elected to the Newfoundland and Labrador Arts Council Hall of Honour. In 2010 he was named St. John’s Poet Laureate. In 2012 he was named a member of the Order of Canada and also of the Order of Newfoundland and Labrador. He collaborated with Gerald Squires on Caligula’s Horse and Other Creatures for Running the Goat. 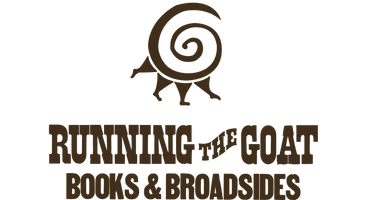 His book, An Old Man’s Winter Night: Ghostly Tales appeared with Running the Goat in the fall of 2015. The companion volume, Spirited Away: Fairy Stories of Old Newfoundland was published in the autumn of 2017.